Can You Replace Gaming PCs With Shadow Cloud Gaming? Shadow is a streaming service that grants you access to a full-on, high-end Windows 10 PC in the cloud. This means that you can stream PC games from a gaming rig located on a remote server to any cruddy old computer you have lying around. While this might sound a little like the now defunct OnLive service, OnLive was marred by issues like heavy compression, latency, and poor game selection. Shadow, developed by the Blade Group, has largely mitigated most of these problems. And since it streams a full-on desktop PC and not just a curated library of games, you could also use it to launch all your Steam games and for productivity tasks like video editing. In addition, you can stream it to numerous devices such as laptops, tablets, smartphones, MacBooks, and more. Shadow suggest that the PCs in its server farms are the equivalent to a $2,000 gaming PC. 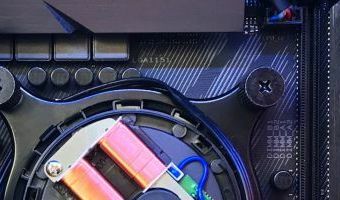 The monthly subscription service starts at $35 per month, and might be a compelling option given the current cost-prohibitive price of GPUs … [Read more...] about Can You Replace Gaming PCs With Shadow Cloud Gaming? What Is Bitcoin (And Cryptocurrency)? You might be aware that GPU prices have skyrocketed in recent months. This is due in large part to the rise of cryptocurrencies, to which there are many. Bitcoin is the first and most popular one, but what is Bitcoin? We're here to demystify the topic for you. While Bitcoin and cryptocurrency are incredibly deep and complex topics, in this beginner's guide, we'll not only explain what Bitcoin is, but we'll also dive into how it's created, discuss its use-cases, clear up misconceptions, and much more. Here's everything you should know about Bitcoin and cryptocurrency. What is Bitcoin? Bitcoin is the first decentralized digital currency. You can send and receive it to an individual via a peer-to-peer payment system anywhere in the world as long as you have an internet connection. You can also purchase goods with it among several online sites and physical stores. Its decentralized design means that it isn't controlled by any one individual, central bank, company, or country. In short, … [Read more...] about What Is Bitcoin (And Cryptocurrency)? What Is Bitcoin And Why Are The Price Of GPUs So High? You might be aware that GPU prices have skyrocketed in recent months. This is due in large part to the rise of cryptocurrencies, to which there are many. Bitcoin is the first and most popular one, but what is Bitcoin? We're here to demystify the topic for you. While Bitcoin and cryptocurrency are incredibly deep and complex topics, in this beginner's guide, we'll not only explain what Bitcoin is, but we'll also dive into how it's created, discuss its use-cases, clear up misconceptions, and much more. Here's everything you should know about Bitcoin and cryptocurrency. What is Bitcoin? Bitcoin is the first decentralized digital currency. You can send and receive it to an individual via a peer-to-peer payment system anywhere in the world as long as you have an internet connection. You can also purchase goods with it among several online sites and physical stores. Its decentralized design means that it isn't controlled by any one individual, central bank, company, or country. In short, … [Read more...] about What Is Bitcoin And Why Are The Price Of GPUs So High?